New Norfolk I 9/178 off 48 overs defeated Claremont 10/177 off 48 overs at Abbotsfield Park. Batting: Matthew Bowden 98 not out (133 balls), Nathan Eiszele 16 (19), Ryan Banks-Smith 11 (27), Rohan Heron 10 (25). Bowling: Jordan Willoughby 3-26 (7), Jordan Banks-Smith 1-17 (7), Josh Rowlands 1-22 (10), Nathan Eiszele 1-26 (7), Jye Lester 1-26 (7). There were three run-outs. Gretna I 3/110 off 29.4 overs defeated. Molesworth I 10/106 off 36.4 overs at Gretna. Gretna Batting: Todd Jarvis 35, Trent Grant 33, Zac Crosswell 10 not out, Ross Langford 10no. Molesworth Bowling: Nick Piuselli 2-14 (3), Daniel Coppleman 1-15 (5). Molesworth Batting: Brad Ransley 28, Nick Piuselli 24, Brad Coppleman 23. Gretna: Bowling: Corey Ransley 4-19 (10), Trent Grant 2-7 (3.4), Craig Cunningham 2-27 (8), Zac Crosswell 1-15 (6), Jacksonn Ackerly 1-32 (10). New Norfolk II 10/124 off 34 overs defeated MacKillop Beltas 10/108 off 34 overs at Tynwald Park. Batting: Richard Graham 73 (77), Leigh Berry 14 (21), Jye Bearman 14 (23). Bowling: Stewart Rice 4-15 (7), David Mitchelmore 3-16 (3), Aaron Drew 2-18 (8), Nathan Rice 1-15 (2). 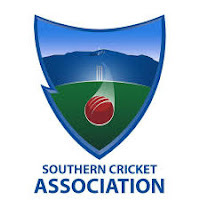 Bothwell I 7/181 off 50 overs defeated Montagu Bay 10/179 off 50 overs at Bothwell. Batting: Matthew Eyles 42, Brodie White 30, Kelvin Eyles 27, Anthony White 18, Nathan Eyles 18, Simon Eyles 11. Bowling: Matthew Eyles 2-30 (10), Josh Eyles 2-34 (10), Brock Nichols 1-24 (10), Brodie White 1-40 (10), Nathan Eyles 1-46 (10). There were three run-outs. Wellington 9/250 off 50 overs defeated. Gretna II 10/104 off 34.4 overs at Eady Street. Batting: Josh Whitford 36, Tom Wright 25, Brian Smith 14. Bowling: Jordan Hastie 2-34 (5), Nathan Wakefield 2-37 (5), Josh Whitford 2-49 (10), Patrick Brosnan 1-17 (10), Tom Wright 1-55 (10), Zac Webb 1-56 (10). Bushy Park 9/381 off 50 overs defeated Bagdad 10/167 off 34.4 overs at Bushy Park Showground. Batting:Mitchell Crosswell 176, Shaun Fenton 50, Geoff Crosswell 36, Jack Evans 32, Ben Triffett 20. Mitch Crosswell put on a 133 partnership with Geoff Crosswell and a 105 run partnership with Shaun Fenton. Bowling: Aaron Newbon 4/29 (8), Jack Evans 2-13 (6), Troy Smith 2-26 (7), Geoff Crosswell 1-19 (4), Jasper Gerhard Marias 1-42 (4.4). St Virgils 10/273 off 49.3 overs defeated New Norfolk III 8/219 off 50 overs at St Virgils College Oval No.1. Batting: Coby Kemmler 55, Josh Walsh 44, Steven Sillifant 32, Josh Nichols 17, Rhys Franklin 14. Bowling: Aaron Triffitt 2-25 (5), Josh Walsh 2-39 (10), Rhys Franklin 2-61 (9.3), Josh Nichols 1-14 (5), Steven Sillifant 1-21 (5), Will Banks 1-55 (8). There was one run out. Molesworth 7/220 off 40 overs defeated St Virgils 9/61 off 20 overs at Boyer Oval. Batting: John Fowle 54, Michael Murray 34, Anthony Murray 26 not out, Sam Triffitt 24, Brent Slater 21, Jayden Wilton 15, Daniel Williams 15. Bowling: Sam Triffitt 4-12 (6) three maidens, Michael Murray 3-25 (6), Hayden Wilton 2-5 (4). Bothwell II had the Bye. St Annes 7/156 off 20 overs defeated New Norfolk 9/135 off 20 overs at Tynwald Park. Batting: Hannah Mann 26 not out retired, Lisa East 16no retired, Kelly Read 12no retired, Teagan Kemmler 10no. Bowling: Teagan Kemmler 2-5 (2), Teena Sillifant 2-29 (4), Amity Booth 1-13 (3). Their were two run-outs. Clarence 2/170 off 29 overs defeated New Norfolk 6/113 off 30 overs at Rokeby Village Green. Batting: Cale Browning: 27no with 4 fours, Jack Moodie: 17no with 1 four, Tate Browning: 12no with 1 four, Logan Hunt: 11 runs with 1 four. There was one run out and the other batsman retired. New Norfolk 8/168 off 25 overs defeated. New Town finished on 6-132 off 40 overs at Ogilvie High School. Batting: Chris Hall 44 with 6 fours and 1 six, Luke Jarvis 33 with 3 fours and 1 six, Jake Sorrenson 33no with 5 fours and 2 sixes, Jack Morgan 16 with 2 fours and 1 six. Bowling: Jake Sorrenson 1-11 off 5 overs with 1 maiden, Jack Morgan 1-13 off 5 overs, Tom Eiszele 1-14 off 4 overs, Tom Murray 1-15 off 4 overs, Zayne Field 1-16 off 5 overs, Cam McMaster 1-16 off 4 overs.